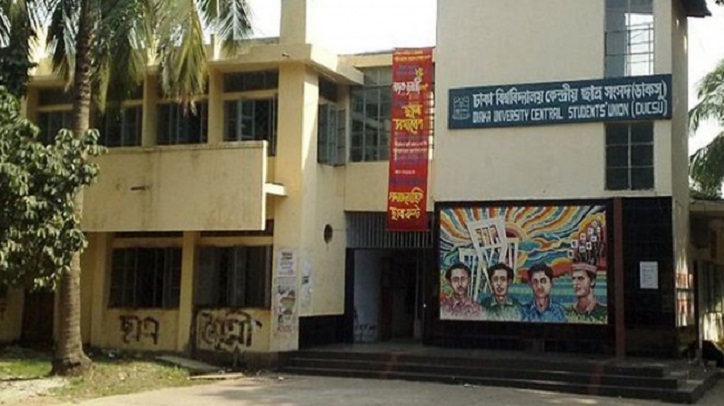 The High Court on Monday rejected a writ petition to stay the Dhaka University Central Students' Union (Ducsu) election schedule. Jatiyatabadi Chhatra Dal's Dhaka University unit leader Fahmida Mazid moved the court on Sunday. She also challenged the authorities' decision to exclude her from the voter list. Justice Syed Refaat Ahmed and Justice Md Iqbal Kabir's bench said the court will not interfere in the Ducsu polls schedule announced on February 11. The election is scheduled for March 11. The last one was held on July 6, 1990. However, the court asked Ducsu polls' chief returning officer to dispose the petitioner's application seeking inclusion in the voter list and her candidacy within 24 hours, reports UNB. The court issued a rule ordering the university administration to explain why the announcement of schedule without including the petitioner's name in the voter list should not be declared illegal. DU vice-chancellor, proctor and chief returning officer have been asked to respond within two weeks. Barrister Ruhul Kuddus stood for the petitioner while Attorney General Mahbubey Alam represented DU.